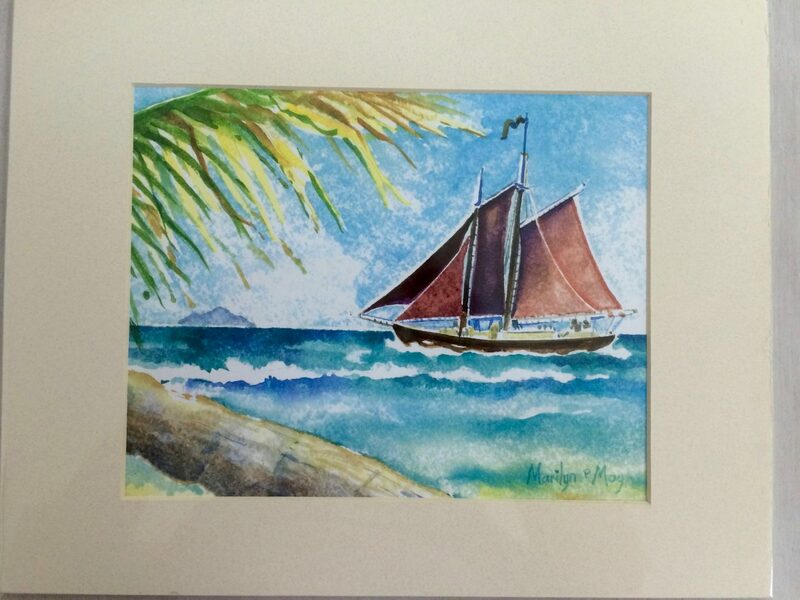 St. Croix has no shortage of amazingly talented artists who are inspired by the incredible views, colors and culture of this beautiful island and its people. Having some white walls to decorate, we went shopping for some local art to hang at SolMates. Within a couple of hours, we had found several pieces that we love! 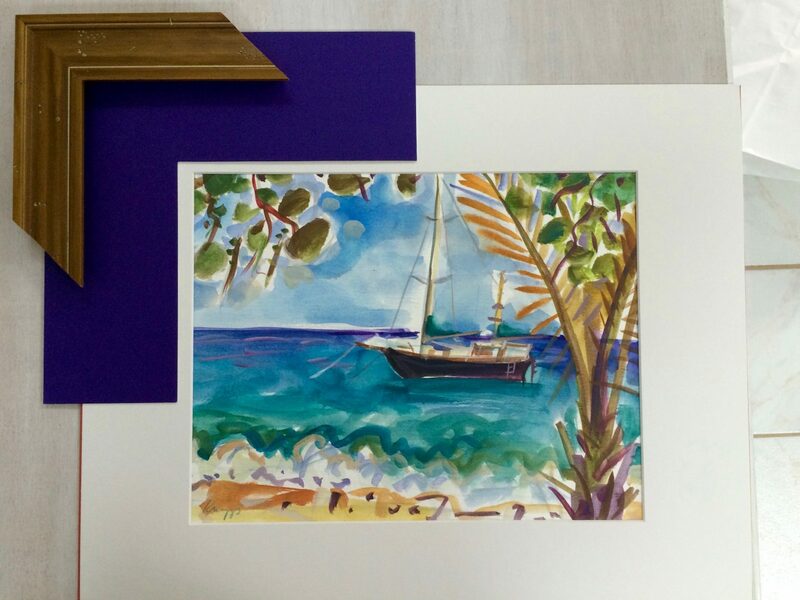 We never even had to leave downtown Christiansted to find a beautiful selection, from watercolors to underwater photography, sculpture to collage. 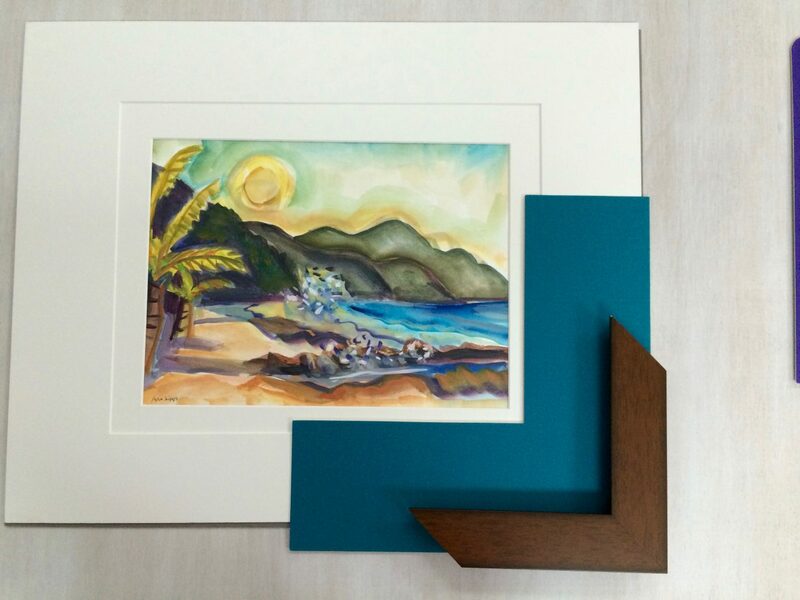 A few of the pieces we bought for the house, in the process of being matted and framed by On The Walls Custom Framing at Gallows Bay. If you’re on the hunt for art while you’re here, be sure to check out Blue Mutt, Art @ Top Hat, and the Mitchell Larsen Studio – and there’s so much more. And on the 3rd Thursday of the month, check our Art Thursdays to meet the artists while you browse, listen to music and enjoy refreshments.